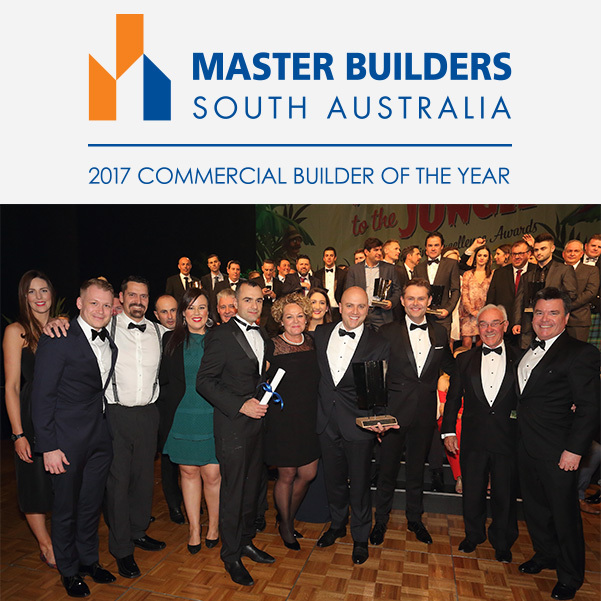 Congratulations to our dedicated and hardworking Sarah team as we were named Master Builders (MBA) SA Commercial Builder of the Year 2017, for the first time in our history at the recent awards evening. This would not be possible without the support of our loyal Clients, Consultants, Project and Cost Managers, Subcontractors and Suppliers. We enjoy creating the many interesting workplaces and spaces for our Clients; we greatly value being part of their business transformation and the trust placed in us to deliver their critical infrastructure. We truly value quality and safety, understanding the importance they play in forming a harmonious workplace during construction and later for our customers. 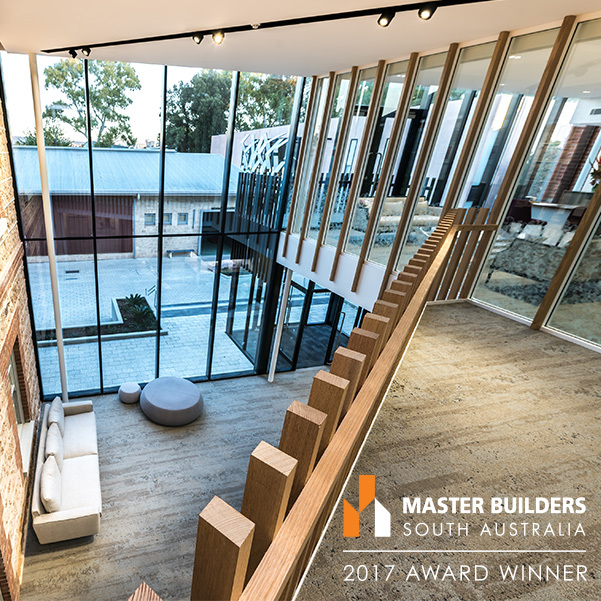 We see this award as not only an appreciation of the built form we deliver, but recognition of all organisations in the property cycle necessary to create industry leading infrastructure. Joining Sarah some 3 years ago, our business has come a long way – our capability together with the development of our people has grown significantly enabling us to be part of delivering some of the most exciting and rewarding infrastructure in the South Australian Commercial market. This landmark project is the first tenancy within the Adelaide Airports New Aeromedical Precinct and required creative solutions to ensure both the Airport and the RFDS’s expectations were met. The 12,850m2 facility was designed to bring the entire operation under one roof – enough room for six aircraft’s, another nine more on the tarmac, a 2,230m2 administration office, patient transfer areas and ambulance bays. RFDS exists to deliver high quality care – their facility needed to demonstrate this important criteria through the quality of design and level of finish created in the built form. 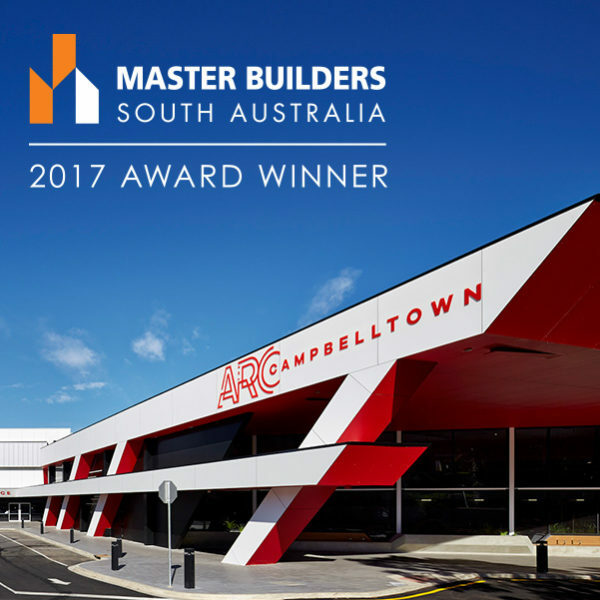 The level of detail delivered was extremely high, and upon completion Adelaide Airport said that this building had set a new benchmark for all future projects in and around the Aeromedical Precinct. The Arc is a key facility for The City of Campbelltown, providing a central hub for a broad range of community activates. The 10,000m2 project included the delivery of new timber stadiums with viewing areas, spacious change rooms, squash courts, café, clubrooms and a crèche. The centre also features Gym and weights rooms, aerobics & dance rooms and Aquatic areas including a sauna, relaxation & splash pad areas and a 25M X 25M lap pool with a dedicated plant room. The success of this project is greatly attributed to the collaborative approach adopted throughout the project. Sarah was proactive in converting this two stage project into one, this initiative achieved expediting the program by 8 months and provided significant cost savings to Council. Sarah created progressive learning facilities for students in accordance with the campus master plan. The Wilderness projects were completed on time whilst maintain a fully functional school. These projects included the Performing Arts Centre, Junior School, Science Facility, Memorial Hall and of course, the building named to honour the school’s founders, the “Brown’s House”.